If you're looking for a piece that's clean in its appearance and versatile in its functionality, this rustic contemporary baker's rack is right for you. The metal frame and cross-bar support, complemented with the wood-grain finish, will add a chic warmth to your dining area. Woodworking techniques, such as chattering and saw marks, add texture and depth to the light and dark planks. 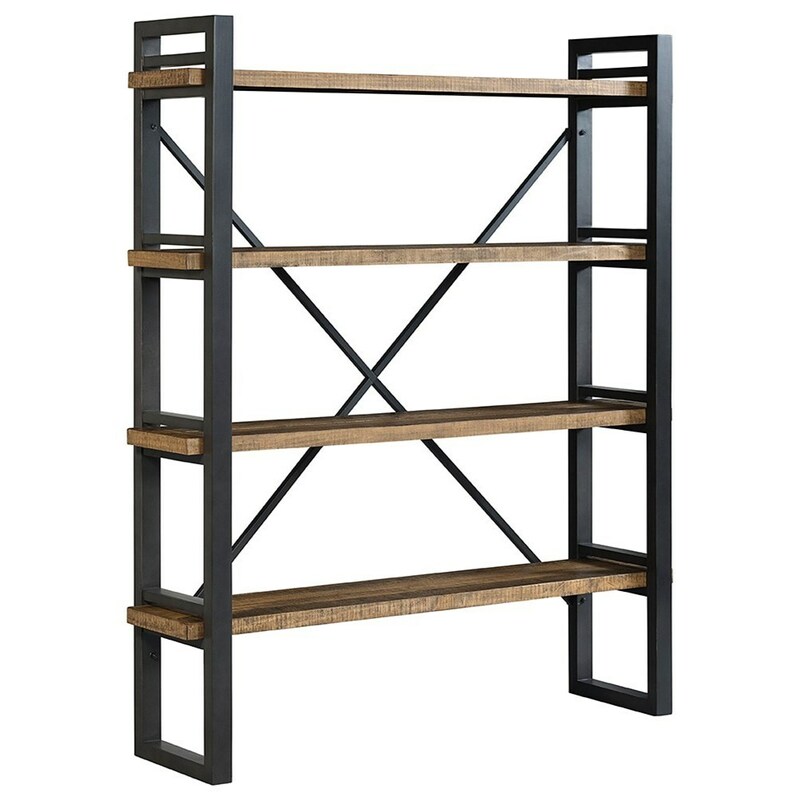 To contrast the softer lines of the shelves, the metal frame brings a trendy modern edge. Open shelving allows you to fill the shelves with your favorite dinnerware or display your favorite decor. Drape faux-greenery down the sides of the shelves and add a potted plant or two to add a splash of color to your dining room. 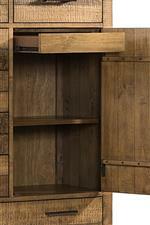 The Urban Rustic Rustic Baker's Rack with 4 Shelves by VFM Signature at Virginia Furniture Market in the Rocky Mount, Roanoke, Lynchburg, Christiansburg, Blacksburg, Virginia area. Product availability may vary. Contact us for the most current availability on this product. 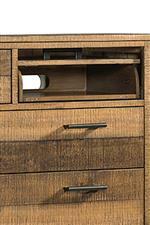 Case Construction Items are crafted from pine solids and veneers. 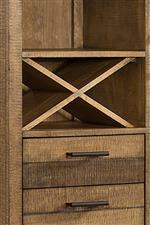 The wood used in the manufacturing process is kiln dried to achieve the ideal moisture content. Rugged textures and modern silhouettes take the spotlight in this rustic contemporary collection. Blending the two styles will allow your space to stay trendy and turn heads, while being cozy enough that you feel comfortable in your space. With the collection's matching casual dining, living room, and bedroom sets, you'll be able to unify your home without worrying about mismatched pieces. Highlighting its rugged side, chattering and saw mark woodworking techniques add depth in the light and dark pine planks. 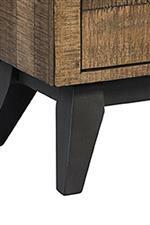 The Urban Rustic collection is a great option if you are looking for Rustic Contemporary furniture in the Rocky Mount, Roanoke, Lynchburg, Christiansburg, Blacksburg, Virginia area. 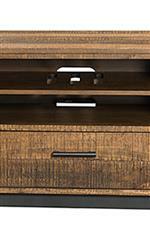 Browse other items in the Urban Rustic collection from Virginia Furniture Market in the Rocky Mount, Roanoke, Lynchburg, Christiansburg, Blacksburg, Virginia area.